The Myanmar Trade Promotion Organisation at the Ministry of Commerce and Myanmar Fruit and Vegetable Growers' Association are discussing the prioritisation of fruit and vegetables in the national export strategy. Exports play a crucial role in developing an economy, and fruit and vegetables could form a key part of the strategy, said Aung Soe, director general of the Trade Promotion Organisation. Chairman of the growers' association Soe Than Min Din called for the establishment of fruit and vegetable wholesale centres in every district of Yangon Region, like Danyingon wholesale centre under construction, as trading at Thiri Mingalar Market alone caused waste and delays. During a meeting between military-appointed Vice President Myint Swe and entrepreneurs at the offices of the Federation of Chambers of Commerce and Industry on July 20, Soe Than Min Din also called for the opening of a market information centre and cooperation among all stakeholders in doing research and development for the fruit and vegetable market. 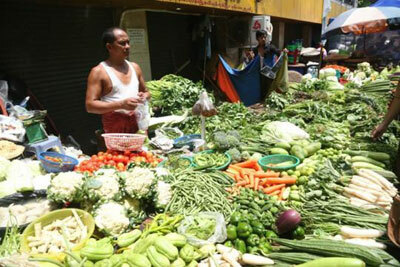 According to the Ministry of Commerce, Myanmar planned to put gems, fruit and vegetables on the priority list of the national export strategy this year.